we have internet service¡¢travel information¡¢variety store¡¢self laundry room¡¢reading area and Backpackers bar. Also we can rent bicycle and car. Our BACKPACKERS located in the center of the city YUAN dynasty, a very famous protection area for the Chinese old street (Chinese people call that HuTong)---NanLuoGu alley, it¡¯s near the Forbidden grove and behind BeiHai Park, and you can go to the the Tian`anmen Square¡¢ The Summer Palace¡¢The Forbidden City and The haven of Temple by bus. You can get to the subway station only 20 minutes on foot, there has the public facilities: banks¡¢post office¡¢supermarkets near here. Of cause, Backpacker¡¯s Accommodation is for the backpackers. We are real backpackers; we have an idea to decide to set up one accommodation for the backpackers. The facilities and the styles are absolutely different from the star hotels and the youth hostels. Cause a real traveler can be understand what does the real backpackers want. 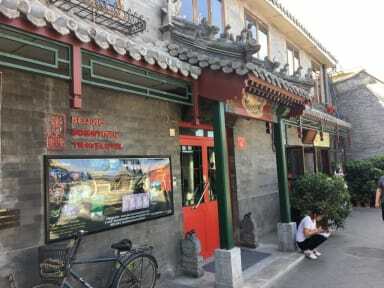 Our BACKPACKERS located in the famous HuTong protection area. Live here, you can hear the old Beijingner`s hubbub, you can chat with the old beijingner, also you can walk to the BeiHai Park, to hear the Beijing opera. Sum up, our BACKPACKER`S can give you a lot of traditional of Chinses custom. As a BACKPACKER`S, we will give you more surprise when you are traveling. We organize guests to go hiking Great Walls, camping, climbing. Also organize you to go to the theatre to watch Beijing opera and acrobatics. If you wish to know more about the Beijingner`s life, our man-powered tricycle driver can take you to each HuTong around here. And even can take you to the BeiJingner`s house. Our principle is that to help you save every cent in your trip. So, our room rate is including breakfast. And if you were book the room advance, tell us about your flight or train number. You can get a free airport pick up benefit service. Chat with our staff, you can gain a lot of travel information; I promise that it can be good for your trip. By the way, here we can book the cheap hotels in china, book the air tickets and strain tickets, even the boat tickets for every guest in the accommodations. The hostel is located in a great area with many restaurants, shops and subway station around. Rooms are clean and spacious, I personally shared with 3 more people and it was great as you have the chance to meet people from all over the world. They also provide information about the city and various tours. Members of the staff speak perfect English and are always willing to help! In my personal case I wanna give a massive thank you to the staff who helped me to get to the airport on time! Had a really good time there, their wall is full of things that guests have written which is nice. Great location, socmuch to do around it. The Double room was small but the triple room was good. The location is perfect and the staff is very nice. Is very good hostel to spend a few days in Beijing. 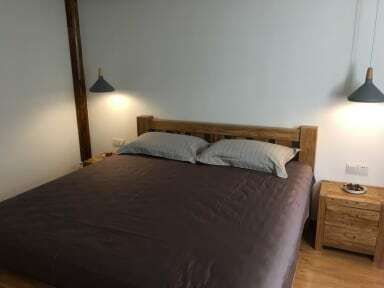 La ubicación del hostel es excelente, esta cerca al metro y desde ahí puedes dirigirte a cualquier lugar. La habitación doble privada en la que me alojé estuvo genial. Cama grande y cómoda, aire acondicionado, lavabo y ducha. El Wi-Fi no es muy potente. El personal es amable pero a alguno le falta aprender un poco de inglés (como a mí). Lo que no me gustó es que cancelaran la ruta a la gran muralla china el día antes y avisando a la tantas de la noche. Lo cancelaron por mal tiempo y el día siguiente hizo un día soleado y caluroso. Tuve que ir a la gran muralla china por mi cuenta. Eso me diagustó. Muy bien ubicado, en una calle súper linda llena de movimiento. El personal siempre dispuesto a ayudar. Todo limpio y cómodos los dormitorios de mucha gente.